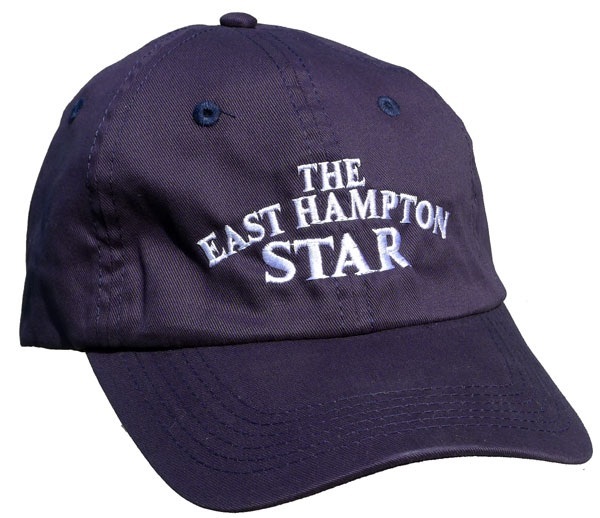 East Hampton Star classic baseball cap. All-cotton, navy blue, adjustable band. $16.95, with FREE SHIPPING to United States addresses. from The East Hampton Star archive. Limited edition, unisex, and 100-percent cotton.